It’s hard to deny that the latest Surface Pro 4 is Microsoft’s most beautiful device yet, but you do know what they say about beauty sometimes being only skin deep. Teardown experts iFixit took Microsoft’s latest “tablet to replace your laptop” to discover hidden treasures inside as well as to measure how easy, or hard, it would be to repair. Suffice it to say, this is one tablet you will definitely want to handle with extra care, not just because of its price, but also because of its repairability. Getting into any Surface Pro has always been an ordeal but even iFixit is happy to concede that the Surface Pro 4 is relatively easier to open up. They didn’t even crack the screen this time. Sure, there is great deal of adhesive, cables hidden beneath brackets, and non-standard connectors. 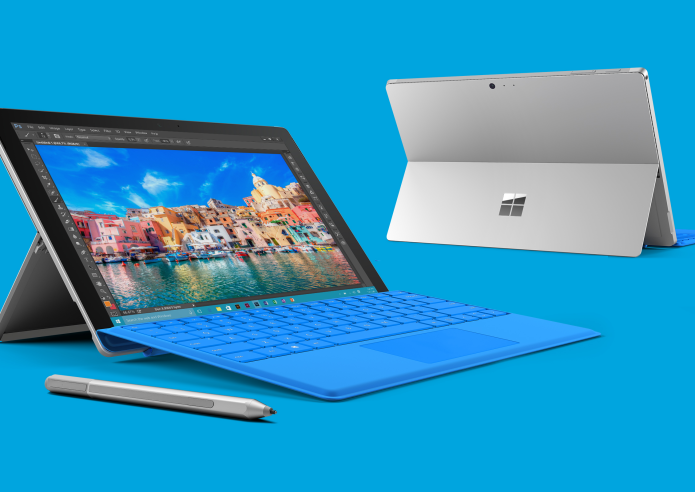 Anyone who has experience tearing apart, and hopefully putting back together, the Surface Pro 3 won’t be lost here. The SSD inside the Surface Pro 4 holds some surprises. For one, it is apparently replaceable, the lone silver lining in the tablet’s otherwise dismal repairability score. For another, it seems that not all SSDs are created equal as far as Surface Pro models go. Although Microsoft’s Samsung-made SSDs are expected to use the faster NVMe controller, the low power Core m3 model apparently makes use of the older AHCI controller, a subtle but perhaps important detail that Microsoft has kept mum about. The rest of the Surface Pro 4’s innards are less exciting, though there are, of course, some highlights. Like the IR emitter and IR camera that together make Windows Hello facial recognition possible. The Core m3 model also has a rather sizable blank space where the heat fan would have been. All in all, the Surface Pro 4 gets a measly 2 out of 10, meaning it will be hard to repair. The SSD is the only easily replaceable part, but getting to it could also risk cracking the screen. That screen also sports a fused glass and LCD panel display, which is becoming the norm to keep devices slim and compact. That said, Microsoft’s tablet isn’t alone in that low tier. Apple’s iPads normally occupy that level as well, indicating that such beautiful but mostly closed devices are specifically designed to be this difficult to get into.